It is impossible to count how many books there are about trading. Among the most popular, though, come from American author Jack Schwager. Born in Antwerp, Belgium, Schwager's family moved to the US, where he studied economics. First at Brooklyn College in New York, and then the prestigious Brown University, where he achieved his masters. He released the first of his market wizard books to great acclaim in 1989. Schwager then followed them up with two more in the series in 1992 and then 2001. Earlier this decade (2012), he released a fourth in the series - this time about hedge funds. In the upper echelons of the hedge fund industry, Schwager holds a special place. An invitation to participate in one of Schwager's books marks the capping of a stellar career. Words permanently edged into trading history - proof that you carved a successful career as a trader. For every would-be trading guru, his books are a must read. A rare chance to glimpse inside the world of those at the top of the heap. What some might not know, is that these wizard series of books form just one part of his catalogue. He has written far more about other aspects of the markets. Like futures markets and commodities, in particular. Plus many tomes on both fundamental and technical analysis. Even lesser known is that he is a successful trader himself. He has himself been a partner in a hedge fund, and headed up several research departments on Wall Street. Now in his seventies, he continues his work as a money manager. In his spare time, he advises other managed funds, on how to structure their portfolios. 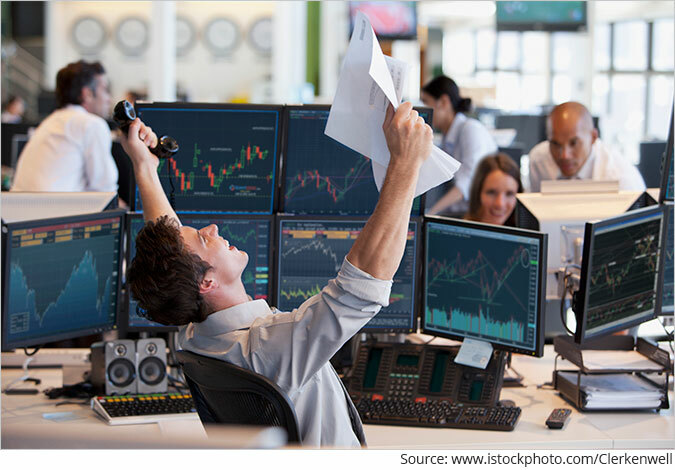 What is the secret to the successful trader's success? Whenever interviewed, everyone asks Schwager the same thing. That is, what is the secret to the successful trader's success? Of course, trying to narrow that down over the hundreds of interviews he has conducted is no easy feat. Traders have their own unique personality and style. Plus, they trade very different products and markets. As you would expect, many trade big share funds. Others manage commodity-based futures funds. Some run funds that do nothing other than short-sell. One fund's sole strategy is to rotate in and out of ETFs. While there is some technical detail about what these traders do, Schwager shines his spotlight on something just as, if not more, important. That is, what goes on inside the heads of these big-time traders. Despite the sheer diversity of personalities - and yes, some are truly bonkers - these traders share several common traits. Yes, hard work and a genuine love of the markets are the more obvious. But perhaps less obvious is the way they approach trading. What Schwager found is that many of these wizards treat trading as a game. The word 'game' conjures up images of fun. Perhaps a group of people sitting around a table playing cards. Or a family playing a board game during Christmas holidays. However, this is not what he means. These traders - whether mouse-like quiet, or straight out of central casting as the alpha-male - are desperately competitive. They all want to win. When Schwager says game, though, he is talking more about a matching of wits. Not just trying to beat the market, but all other traders in it. The actual dollars involved is not forefront of their mind, though of course it matters. Nor are they spending the profits in their heads, before the trade is even completed. If money was their only goal, many would give it away as soon as they are set up financially for life. For many non-wizards - that is, the great bulk of us - trading is anything but a game. It's a way to supplement an income. A way to pay school fees or the next family holiday. Or perhaps, a hoped-for windfall to give us a financial buffer. If that is the case, losing money is certainly not a game. But rather than treating each trade as one step closer (or farther) to your financial goal, take a step back. Just like these wizards do. Think of trading as a way to show your personality and skill. A way to put all your attributes to work, rather than just thinking about the money. Will you be a wizard one day? Who knows, maybe you will...or maybe not. However, you might find out that you are a lot better trader than you think. Please note: This article was first published in Markets & Money on 28th February 2019. While many investors chase quick fire gains, Matt takes a different view. He is focused on two very clear goals. First: How to generate reliable and consistent income in a low-interest rate world. And second, how you can invest today to build wealth over the next 10-15 years. Matt researches income investments. You can find more of Matt's work over at Total Income, where he is hunting down the next generation of dividend-paying companies for the future. He is also the editor of Options Trader, where he uses basic options strategies to generate additional streams of income beyond the regular dividend payments. Having worked for himself and with global firms for almost three decades, Matt has traded nearly every asset in existence. But now he is on a very different mission - to help investors generate income irrespective of what the market is doing. We request your view! Post a comment on "The Game within the Game". Thank you for posting your view!